Would you like to host an afternoon tea but don’t have the time or inclination to spent hours in the kitchen? The following menu has been planned around items that are readily available at any supermarket. Just remember that nothing sticky or too moist should be served. Bite size is the right size. Everything should be easily eaten with the fingers. Clotted Cream – Deli (Sometimes called Devonshire Cream) Again, it is not obligatory to serve clotted cream. A buttered scone is equally as good. I like to garnish the serving plates with whole strawberries and/or colorful seedless grapes. It is not necessary to serve ALL these items, they are merely suggestions. If you don’t have a tea set, ask your friends to bring their own cup and saucer and to share its history with the other guests. 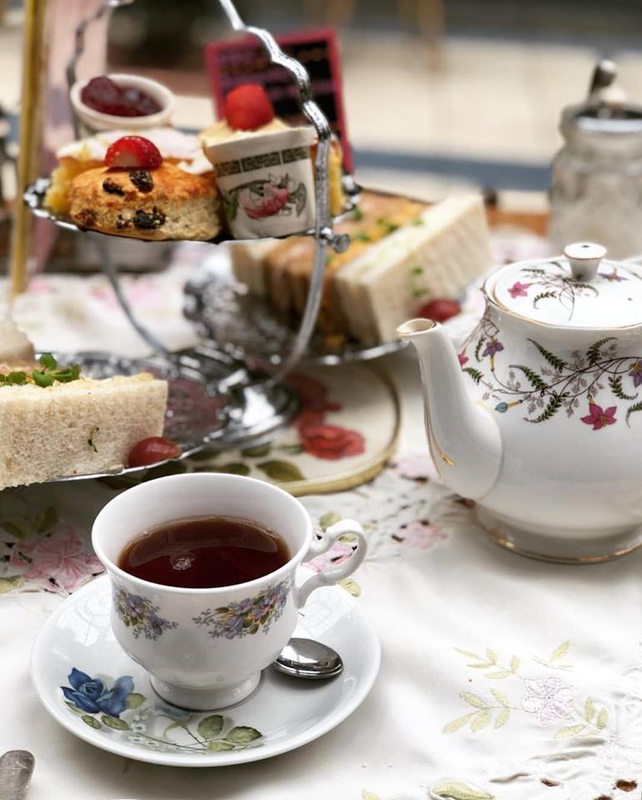 Remember the importance of afternoon tea is the memorable time spent with one’s friends, not all the elaborate food and fancy china. It is customary to use a table cloth for the table. Place a side plate in front of where each guest will be seated. A luncheon knife goes to the right of the plate. The pastry fork (or a salad fork can be used) goes to the left of the plate. Set the tea cup and saucer at the top right corner of the plate. Keep the tea cup handle pointed towards the right. The teaspoon goes behind the cup and across the saucer. The tea pot, trivet, sugar bowl and milk pitcher should be placed at the center of the tea table, so that everyone can easily handle these items. If you are using bagged tea instead of loose tea, make sure to provide a plate(s) where your guests can deposit the used tea bags. The serving plates for the food should also be put in the middle of the table.